Caroline Furness was professor of astronomy and director of the observatory at Vassar for 20 years. Vassar president Henry Nobel MacCracken identified her course on variable stars as the first of its kind offered in any American college, and her book, Introduction to the Study of Variable Stars (1915), became a standard in the field. Included among the 100 best books written by American women during the preceding century at the 1933 Century of Progress world's fair at Chicago, the work grew out of the research she did with her teacher and predecessor at Vassar, Mary Watson Whitney, who was a profound influence in her life. 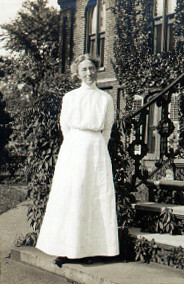 Caroline Ellen Furness was born in Cleveland, Ohio, on June 24, 1869. Her father, Henry Furness, served in the Civil War after working his way through Middlebury College in Vermont, and her mother, the former Caroline Sarah Baker, graduated from North Granville Ladies’ Seminary in nearby North Granville, New York. Her father inspired her interest in natural history as well as in the archaeological remains of an ancient civilization in her native state. At the end of high school she passed the Harvard entrance examination for women with honors (1) and was granted a four years' scholarship at Vassar College. She entered Vassar with the class of 1891. At Vassar, Furness was an excellent student who also acted in college plays and won the annual tennis tournament in her senior year. Her frequent letters to her family throughout her four years, especially those to her sister, Mary Baker, give clear insights into her experiences and her developing interests. Along with requests for items to be sent her, such as a dress for the sophomore party, and notes about all her activities, she would also confide some of her innermost thoughts. Furness formulated her ideas on evolution during her time at Vassar. The year she took a botany course she wrote to her sister, "I have been very much interested in Evolution. I have been re-reading the Origin of Species and my old friend Descent of Man. I also read Huxley—and I am getting familiar with the ideas and history of evolution, and it is getting clearer." Years later, in the essay "Scientists, All Unitarians, Declare Their Religious Faith", she explained that she saw no conflict between science and religion, arguing that evolution is not limited to biology. "There is evolution in vegetable and animal life, in art, in the mechanical devices, in public health, in social institutions, even in religion." She also proclaimed the value of science in nurturing the spirit: "Science helps us to a better understanding of man’s place in the universe, of his relations to other men, of his religious aspirations." By her sophomore year at Vassar, Furness had decided on a career path and told her sister "I have fully made up my mind that I will drop Latin next year. Nothing on Earth could induce me to keep on with it. I shall devote myself entirely to Mathematics and Science, and when I develop into a second Mary Somerville or Maria Mitchell, then you will be proud of me." (2) The older women scientists were role models, a source of inspiration that Furness was determined to follow. In the same letter, she told her sister, "I am going to take a second degree, probably a Ph.D. as far as I can." Mutual admiration developed early between Caroline Furness and her teacher, Mary Whitney, who she said "gave out such a bright glow that it lightened all who came within its sphere." At the beginning of her sophomore year she wrote to her sister, "I find everything easy this year so far – I like the mathematics course and find that Astronomy is just exactly what I want; everything in it is just as easy and clear to me as anything I ever studied." Furness also liked astronomy because it was hands-on work. She wrote during her junior year, "Astronomy is fascinating because we are doing practical work, [taking the position of] stars with the transit instrument." Furness came to know Whitney better when she and another student, Julia Ober, lived and worked in the Observatory during their junior year. "But words can not tell," she wrote to her sister, "how lovely Miss Whitney has been. She has come to our room several times, and has had us up herself." During this time, she also came to share another of Whitney's enthusiasms, the study of bird life and nature in general, and spent many spare moments making observations of wild life on the Vassar campus. Furness grew to know the naturalist John Burroughs through Whitney and she contributed "John Burroughs and some Bird-lovers from Vassar," to the commemorative Slabsides Book of John Burroughs in 1931. She was a member of the National Audubon Society and retained her interest in nature throughout her life. Although she had the support of parents and faculty for her Vassar education, Caroline Furness at times faced resistance to her further pursuits even within her own family. As a college senior in 1891 she wrote to her father to argue for her further education: "I only want to prepare myself for the highest place—just as any young man might… I want to prepare myself to live a useful and happy life without marriage, and then, if the right one comes along, well and good, I shall take him, but I shall not be obliged to take a man just for the sake of a home… If I were your son instead of your daughter, you would fully approve of my ambition." But Furness did not immediately continue her education beyond Vassar. After graduation she taught mathematics at West Winsted High School in Connecticut for a year, and then she taught for two years in Columbus, Ohio. While in Columbus, she continued her study of mathematics for two years at Ohio State University. In 1894, she returned to Vassar as Mary Whitney's assistant in astronomy, and in 1895 she was appointed instructor in mathematics. During the summer of 1895 she attended the University of Chicago summer school, and from 1896-1899 she was able to formally do graduate work at Columbia University. 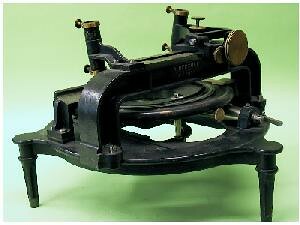 The Repsold machine for measuring astrophotographs was a German invention. In a letter to a friend, Caroline Furness described how Mary Whitney established a collaboration with Professor Harold Jacoby from Columbia, raised $750 from the prominent astronomical benefactor Catherine W. Bruce and Vassar trustee Frederic Thompson for a Repsold machine for measuring stellar photographs, and arranged for Furness to go to Columbia. At this time stellar research involved microscopic interpretation of photographic plates, and Dr. Jacoby had asked Mary Whitney for Vassar students to undertake this work. As Whitney put it in her introduction to Furness's Catalogue of Stars within One Degree of the North Pole and Optical Distortion of the Helsingfors Astro-Photographic Telescope Deduced from Photographic Measures, " It does not seem at present advisable, with the means and time at our disposal, to attempt to take photographs, but the measurement and reduction of photographs taken elsewhere fit in well with our other duties, and with this purpose in view the Repsold machine was secured." Furness said that the work came into her hands because Whitney was very busy with her classes. Furness traveled to New York weekly to discuss methods with Dr. Jacoby and soon became Dr. Jacoby's graduate student. Her admission to Dr. Jacoby's courses at Columbia broke old barriers of prejudice. Although most of the departments of Columbia were open to women at the option of the professor, the faculty of pure science, which included chemistry, biology, and astronomy, remained closed. She felt honored to be entering and wrote "now I am very glad to say that all of the school of science is open." She humbly admitted, "Perhaps I may have a little of the credit but not much, because I believe it was only the question of time. I may have been the occasion, not the cause." She completed her Ph.D. at Columbia in 1900. Caroline Furness advanced to instructor in astronomy at Vassar in 1903 and in 1911 became associate professor in astronomy. During the first semester of 1910, Mary W. Whitney was granted a leave of absence because of illness, and from that time until 1915 Furness directed the observatory and taught all the astronomy courses. 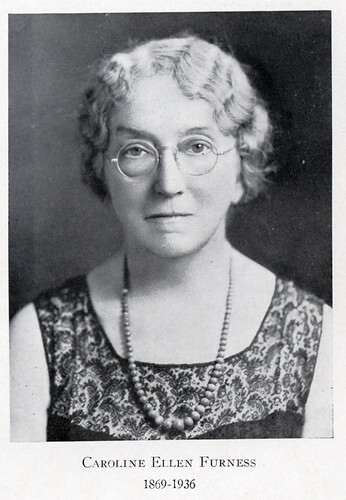 In 1915, Whitney retired and Furness officially succeeded her as director. The honor of being made Alumna Maria Mitchell Professor of Astronomy was conferred upon Caroline Furness in 1916. She was chair of the astronomy department from 1910 until 1926, and, again, between 1927 and1934. First of all, we must consider the equipment of the observatory and decide how well it is suited to eclipse work of real scientific value. Then there are plans...for the students...who wish to share in the work and must be trained for special tasks. Next there is the much larger group of faculty, students, and alumnae who have an intelligent interest in the event and need well written and comprehensive directions for observing the various phenomena....Finally, there is the neighborhood, which may be as extensive as one wishes to make it. For us it included the city, the county and even the school children of the state. Japan was the English Institute for Women's Studies (Joshi Eigaku Juku) where she was guest of the founder and headmistress, Tsuda Umeko, a Bryn Mawr graduate who had come to the United States as a young girl with Shigeko Nagai and Stematz Yamakawa, later Baroness Uriu and Princess Oyama, who were Vassar graduates. After her trip she wrote two articles about Japanese women: "Medical Opportunities for Women in Japan" in the New York Medical Journal, 1919, and "Impressions of Japanese Women," in the Vassar Quarterly, 1920. 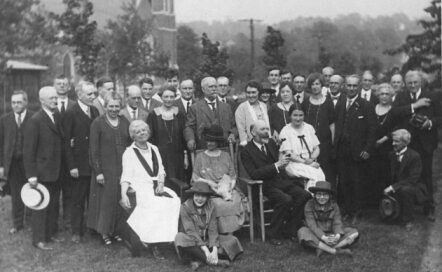 Furness traveled around the world from 1926-1927, visiting many scientific institutions. She presented a paper on the "Solar Constant of Radiation" to Third Pan-Pacific Science Congress in Tokyo in 1926, and she attended meetings of the Royal Astronomical Society of London twice. She also traveled within the United States on a motor tour in 1934 and spent her leave of absence at Wilson Observatory near Pasadena, California from 1934-1935, making observations and studies of the infrared spectrum of the sun. Furness was a member of many scientific societies around the world, including the American Astronomical Society, the Royal Astronomical Society of London, Astronomische Gesellschaft in Germany, the American Association of Variable Star Observers, the American Association for the Advancement of Science, and the Japan Society. She was active also in the American Association of University Women, the New York League of Unitarian Women, the Town Hall Club, and the New York College Club. Professor Furness held her profession to the highest standards, and she described her ideal education as one that fostered not elitism but equality and responsibility. She said, "I am interested in a kind of education which will raise the standard of all classes and give them a common interest. College education should not put students into a separate class, superior to others, but ought to make them understand where they fit into the general scheme of things and their obligation to the rest of society." Caroline Ellen Furness died in 1936 in Memorial hospital, New York City, at the age of 66. Her death brought forth many appreciations from her scientific colleagues. Harlow Shapely, director of the Harvard College Observatory, sent a letter to Vassar recognizing her as a guiding force in the American Association of Variable Star Observers, adding that he hoped the tradition established at Vassar since Maria Mitchell would continue. The Fellows of the Royal Astronomical Society of Great Britain sent a telegram: "Profoundly regret the passing of an eminent colleague whose scholarly attainments are recorded in science". Starting in 1874, members of the Harvard faculty annually prepared and made available to women two examinations of general knowledge. The more difficult of these was used to qualify teachers and potential teachers, and the other was used by some colleges as aids in the admission process. On a visit to England in 1857, Maria Mitchell had met Mary Somerville (1780-1872), the "Queen of Nineteenth Century Science," and she had published an appreciation of the esteemed Scottish polymath in The Atlantic Monthly in 1860. There, she declared, "No one can make the acquaintance of this remarkable woman without increased admiration for her. The ascent of the steep and rugged path of science has not unfitted her for the drawing-room circle; the hours of devotion to close study have not been incompatible with the duties of the wife and the mother; the mind that has turned to rigid demonstration has not thereby lost its faith in the truths which figures will not prove." In 1869, when new members were elected to the American Philosophical Society, the list began with Maria Mitchell, Mary Somerville, and Elizabeth Agassiz, the scientific collaborator and wife of Louis Agassiz. The fourth-named new member was Charles Darwin. Caroline Furness's doctoral dissertation, the first publication of the Vassar Observatory, is part of the Digital Library maintained by the Havard-Smithsonian Center for Astrophysics.